Jim Stitt is the label maker and he’s still working away, by hand and without computer. He likes being a ludite. As posted here in June, we showed the first label for Anchor Steam Beer, bottled in San Fran­cisco. Not long after its orig­inal debut, the label was redesigned by Jim Stitt has designed all of the labels for the brewing company, to date. Jim has said that there is soon to be released, still another of his design and illus­tra­tion (that he executes totally by hand, (no use of digital enhance­ments). He’s still busy looking for new clients and staying busy producing and showing off his great work, contact him here. 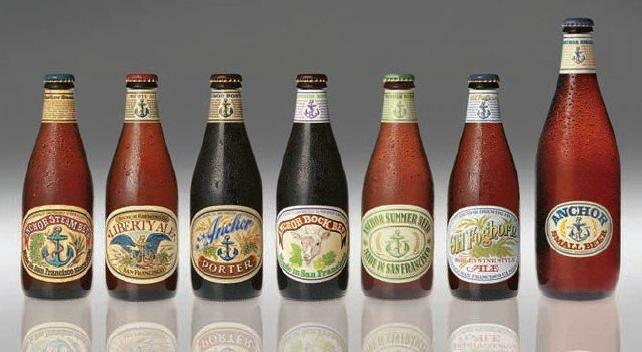 Drawing on History: Anchor Brewing Label Artist Jim Stitt Jim has a long history in San Fran­cisco adver­tising and corpo­rate design. Tech­nical illus­tra­tion while employed at Boeing in Seattle, Jim says, was intense training. Tom Gleason was there also, and they both moved on to study at in Los Angeles. Back in San Fran­cisco and connecting with Hal Riney, Jim got a job at SF’s BBD&O as Art Director. Tom also located as A.D. at McCann‐Erickson, Inc. of San Fran­cisco. Jim was offered the Spice Islands account at Dancer‐Fitzgerald‐Sample. Jim was to design a package that held many Spice Island cook­books, each offering recipes of different cultures. Great ideas can pop‐up at any time…so it was as Jim was riding across the Golden Gate Bridge on his way home – -he remem­bered his intro­duc­tion to Sister Mary Corita while he was at The Art Center. (Corita Kent 1918 – 1986) Visu­al­izing her beau­tiful seri­graphs, Jim contacted her and together they built a campaign as a boxed set of Spice Island cook­books with the seri­graph art on the front and back covers. “Inter­na­tional Dining With Spice Islands.” This direct mail produc­tion won many design awards. Artist: Sister Mary Corita,IHM – Designer Jim Stitt Art Director: Jim Stitt — Copy­writer: Susan Plummer — Printer: Pacific Lith­o­graph Co. — Agency Dancer‐Fitzgerald‐Sample‐Client: Spice Islands. Jim moved to the Camp­bell Ewald Adver­tising & Marketing agency on Pacific Avenue (with the Spice Island account following him there). Jim was assigned the Matson Corp. account. He created a full line of corpo­rate iden­tity for the ship­ping line. When Dailey & Asso­ciates replaced Camp­bell Ewald, Jack Keeler was Head Art Director and when Jack moved on – -Jim became Head Art Director of Dailey & Asso­ciates. From then until now, Jim Stitt has had his own marketing busi­ness. He has worked and lived on the “White Heron” that has just come up for sale. If you’re inter­ested this beau­tiful boat click here. 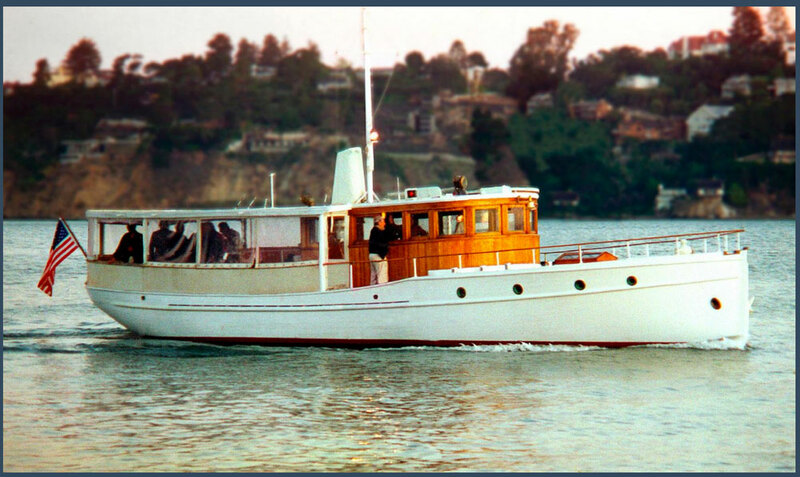 If inter­ested, contact Marotta Yacht Sales, Sausalito, and make offer. Apolo­gies to photog­ra­phers and all for usurping the images without permis­sion, if you want photo credit, please contact this site and we will give credit.